The Bin Sight works well on smooth or ribbed bins. With Bin Sight, you can see when the bin is full so you don't plug the auger and cause unnecessary down time and expense in repairs, run the bin over full or have to climb the bin to keep checking it. When topping off the bin, you get all of the features listed above. 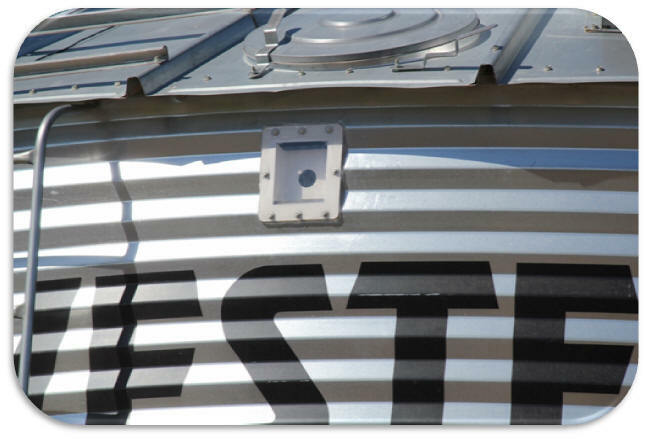 The Bin Sight can be installed in less than 20 minutes with "no special tools required"
Other Companies of Interest: Agritec, Inc.